This kitty has all the bling baby! 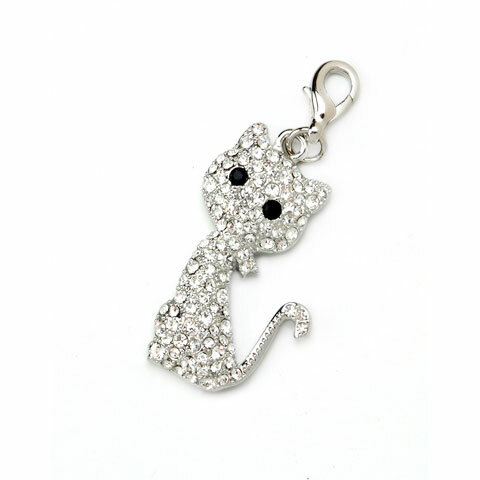 This cat charm is silver and fully adorned in clear rhinestones. The lobster style clasp, rhinestone adorned cat charm is metal.